Vail License #1235 Exceptional value in the Sandstone neighborhood of Vail on the north side of the highway. This complex sits high on a hill and gets sun all day. Ride the free shuttle into Vail and leave your car parked! Million dollar Views out to Vail Mountain. Reasons to Book With Us: 1. Check-in with a live person in Vail (keys not left under a mat) 2. We have a full-time local property manager, Vail Realty providing check-in, concierge, maintenance, housekeeping and answering all your questions. 3. Free ski storage in Vail Village. 4. Secure payments are made through Vail Realty, a Real Estate agency licensed by the Colorado Real Estate Commission. 5. Guest Services include discount lift tickets, car rentals, ground transportation, ski rentals, and grocery delivery. Homestake Condominiums are economically priced and located within minutes of Vail ski area. All condominium units are equipped with kitchen facilities, televisions, telephone and great mountain views from balconies. The property is located on the free Town of Vail bus service, available every 20 minutes until 2am to the slopes and Vail Village during the winter season. This was a great condo for the price. We just had a few friends here for a five day trip and really enjoyed the condo. The folks in the office were nice, the location was a short walk away from the bus stop, and the place was warm and clean. We cooked breakfast and dinners in the very well-stocked kitchen and had no problems with any of the appliances. I would definitely stay here again or recommend it to a friend. I would say the only draw back is you have to walk down a steep (though heated) driveway to get down to the main road, it can be treacherous in ski boots. Glad you had a good time! Look forward to your return! What a great stay. Clean and affordable condo with Great Views! 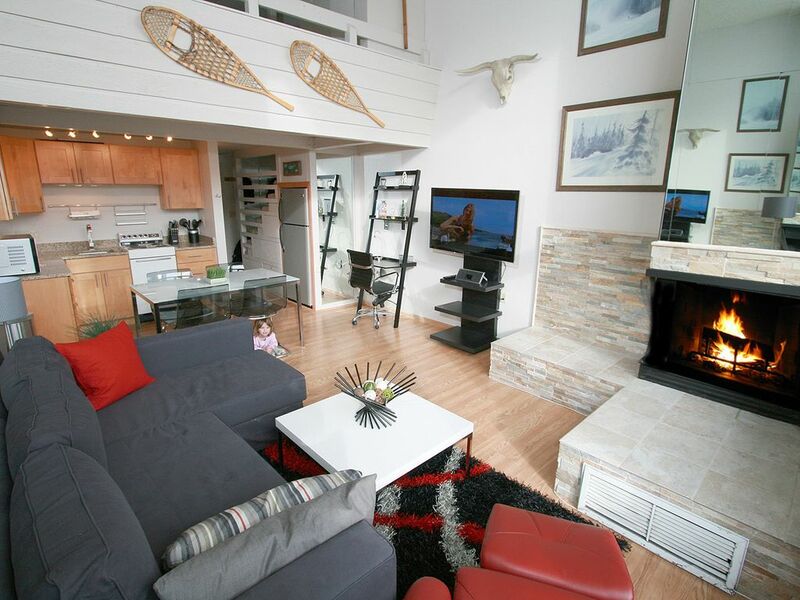 Easy access to the bus and cooked great breakfasts in the morning before skiing in the fully equipped kitchen. Glad you had a good time. We will see you on your next visit!